Monday morning started with the unvealing of the space behind the yellow. The hole is permanent now, and people crossing the corridor can take a peek and watch us playing the review game. When developing the game, we were clearly inspired by the way thinks work at the centre (and in science in general). The rules we established were meant to optimize the game’s playability and interest. 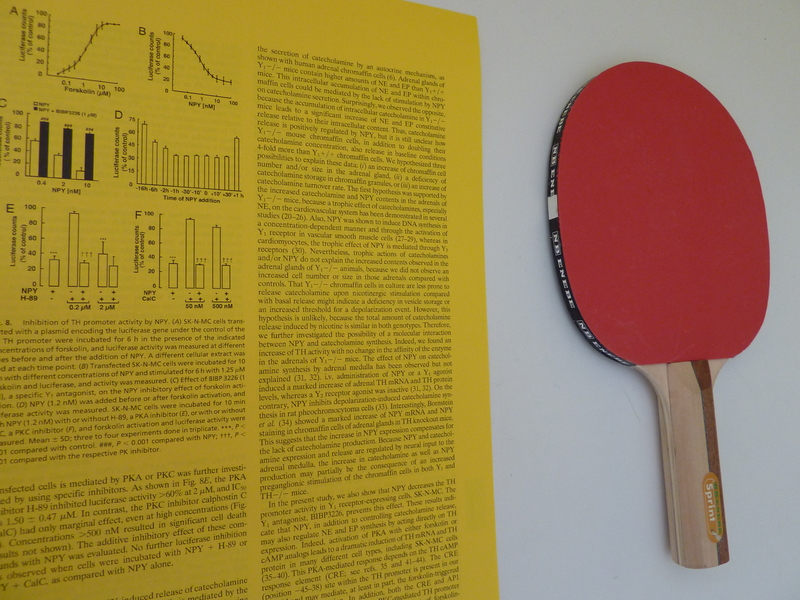 It is meant to be played by 2 researchers, one on each side of the table, who will use ping pong paddles to throw each other their scientific papers. The game starts with one of the researchers reading the title and authors of her/his paper and then submiting it with the paddle to the other side of the table, page by page. The researcher on the other side will try to return the paper paddling it through the table. The game field is marked on the floor and it’s essential to determine the score each player achieves. If you manage to put a paper on the opponent’s field you get one point. If you manage to leave one of your papers on the opponent’s side of the table, she/he will have to cite out loud a part of the paper and then keep it in the pocket, and this will earn you 3 points. At the end of the game all you have to do is count the papers inside the grid on the floor and in the pockets of the researchers and compute (using your brain) the final score. The word is out -> REVIEW!